I've completely succumbed to all my winter comfort food cravings. I can't remember the last time I ate a cold meal. Mornings are full of oats and hot tea and evenings are full of soups, pasta and puddings. It's had a rather expansive effect on my waistline (as well as the many food blogger meet ups that have been happening lately!). I've decided to just embrace it for the moment, enjoy my pudding and suffer the consequences when the warmer weather starts to come around. This pudding is one for the sweet tooths. I adapted it from a plain banana pudding, so feel free to leave out the raisins if you prefer. 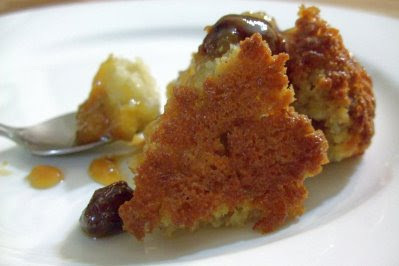 I love the raisins because they become so plump and moist at the bottom of the pudding, though they do add to the sweetness so I reduced the amount of sugar in the recipe. If I was feeling more food bloggery that night I would have poured the pudding into some ramekins to make it prettier, but I was feeling rather lazy and so it got bunged into one big pot. Sift the flour, salt, sugar, baking and powder into a bowl. 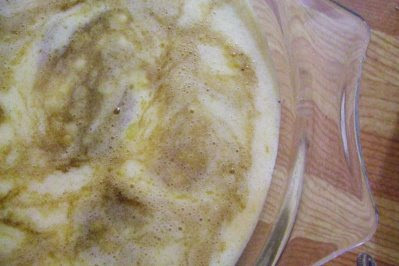 Add the banana milk, butter, egg, nutmeg and vanilla extract and whisk together until well combined. Pour into a greased 2.5 L baking dish. Add the raisins and stir in. 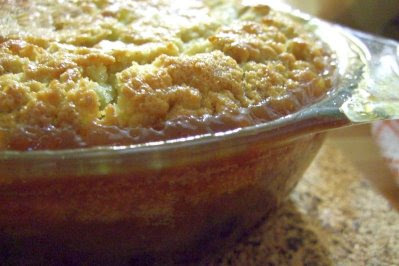 To make the topping, place the brown sugar, golden syrup and water in a small pot and bring to a boil. 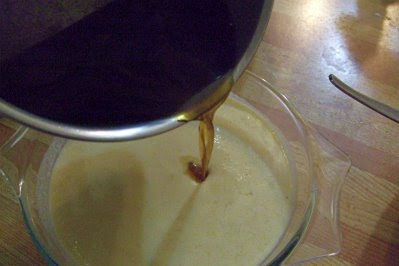 Pour the boiling mixture carefully over the pudding. 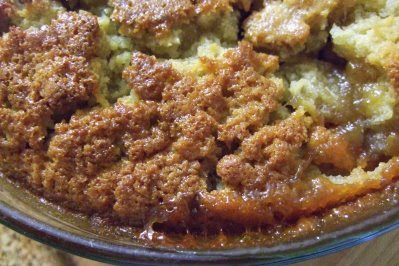 Oh wow, this is winter comfort food at its very best. Nice work! I love the look of all the caramel. 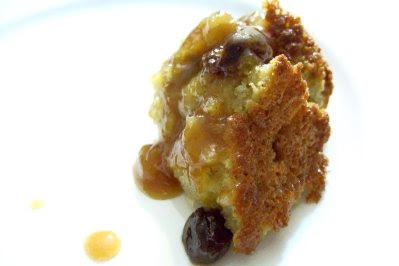 It certainly is perfect weather for self-saucing puddings. I like the idea of the big moist raisins! i agree, deal with the consequences later!!! i'm not a caramel person, but the picture makes it look so good!!! don't worry - you're not the only one that's succumbing to winter cravings! 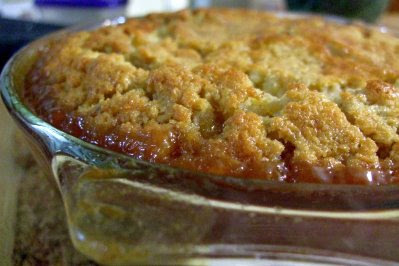 and really, this looks scrumptious, I could just grab a spoon and eat it out of the bowl. Forager - Haha I like the sound of that match up! Arwen - The caramel was lovely and not sickly sweet like some butterscotch sauces can be. I LOVE big moist raisins or sultanas, I always put them in my oats! Lorraine - It's definitely pudding weather! It smelt so nice that I got really impatient waiting for it to cook through and stuck my spoon into the oven to get a taste, burning my mouth in the process haha, serves me right!